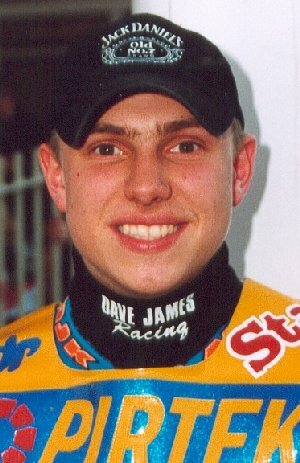 Ricky joins the Tigers for 2002 less than 12 months after first taking up speedway. Ricky rode for Belle Vue in the Youth Development League last season, and will also skipper the Prowlers in the Conference League. A good solid first season from Ricky, albeit with the odd mechanical problems, was a major factor in the Tiger's fortunes and he can take pride in the way he earned his Championship medal. James returns to the Tigers following a season on-loan at Newcastle and will surely be hoping to steer clear of injury. He will no doubt be wanting to recreate the form which saw him race to a 16 point return for the Diamonds when he visited Owlerton in the Premier Trophy fixture last May. James indeed saved his best form for the Newcastle Premier Trophy clash when he raced to a very impressive paid maximum, and was unbeaten away at Glasgow until being advised to withdraw from the meeting following a heavy first bend tumble. Lee made his senior debut last season just weeks after his first matches for the Prowlers covering for the injured Lee Hodgson. 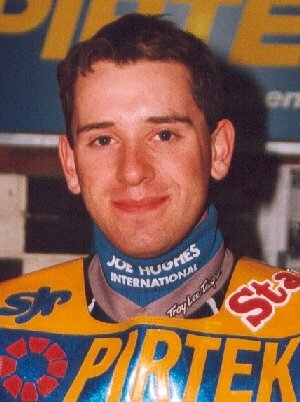 Lack of experience has restricted his scoring away from home, but around Owlerton he never knows when he is beaten. Celebrated his maiden maximum in the home clash against Glasgow. Described by Peter Carr as the 'next Joe Screen', Lee had a brilliant season and was one of the major reasons the League title came our way. He amazingly survived a bad smash into the Owlerton fence in July with no broken bones and was soon back to his best form. 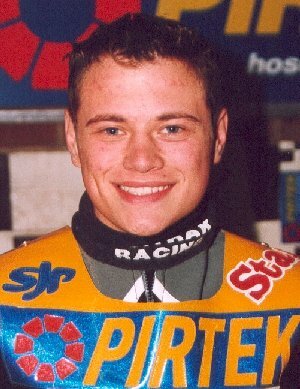 Andy rode for both Peterborough and Skegness in 1998, and rode in the Sheffield Youth Development team, finishing second in the British Under 16 Championship in 1999. He went on to finish the 2000 season as top scorer for the Prowlers and deputised for the injured James Birkinshaw in the Tigers squad from August onward. 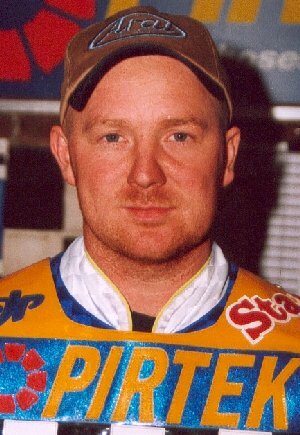 Having doubled up for to the Tigers & Prowlers in 2001 Andy became a full time Tiger in 2002, and although he didn't quite achieve his aim of claiming a heat-leader slot he maintained his progress all throughout the year and finished with the 3rd highest average from away fixtures ahead of both Lee and Scud. A victim of the averages Scud joined Berwick for the 2000 campaign but picked up nasty facial injuries in a freak accident which saw his handlebars entering his helmet. 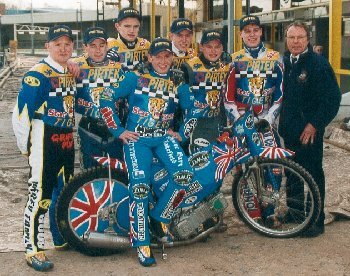 Back with the Tigers for 2001 Scott picked up a nasty knee ligament injury falling in heat 1 of the Exeter match at Owlerton and was again forced out for most of the season, but now fully fit he is raring to go again in 2002. Scud took a nasty knock at Stoke and missed several matches while ensuring his knee had not been badly damaged again, and missed the Edinburgh away fixture after falling at Owlerton the night before and hurting his arm. He bravely returned to the saddle to play an important role in the Tigers crucial away win at Berwick which brought the Championship trophy back to South Yorkshire. 2000 saw Simon step into a heat-leaders role with accomplished ease and there was a lot of speculation as to where Simon would ride in 2001. Sheffield were lucky that he elected to stay with them for one more year, but could hardly have expected him to stay on for 2002, albeit doubling up with his Elite League parent club. 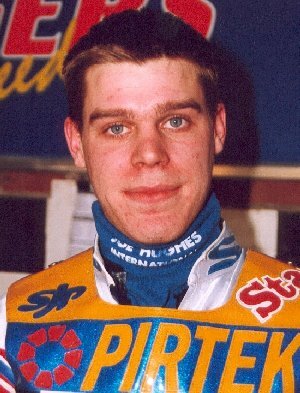 In 2002 Simon crashed out of his World U21 semi-final at Lonigo after a collision with Peter Franc which left him with 4 broken toes. When the bones had healed Simon returned to the saddle but ligament damage proved to be a bigger problem and it took a while for him to recover his form. 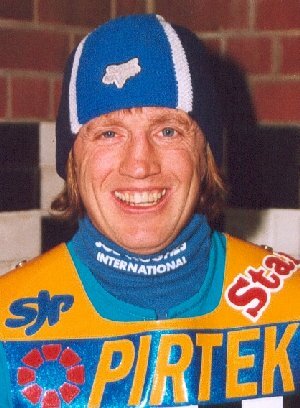 An ex-Sheffield junior Sean made his debut for the Tigers back in 1986, joining Bradford when Sheffield were forced to close in 1989. Following Bradford's demise Sean spent 2 unhappy years making up the numbers in the Elite League. Sheffield had attempted to sign him in 1998 but were vetoed because of his high average. 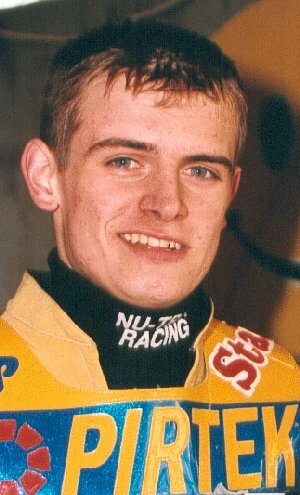 A dismal end to 1998 while riding for Belle Vue opened the door for Sheffield to lure him down to the Premier League where his rediscovered enthusiasm proved infectious. His point scoring prowess on track in 1999 was matched only by his inspirational presence in the pits as he led the Tigers to their most successful season ever. He leads the Tigers again in 2002, but will need all his inspirational skill to keep his young team-mates under control. Watch out for those red kevlars! A patch of unbeatable form in July led to Sean being called up to represent his country in the World Team Cup, but a shoulder injury sustained at Somerset, and aggravated at Newport saw Sean struggling. Like a trooper he rode through the pain scoring 17 in the away win at Berwick which sealed a closely contested League Championship victory.